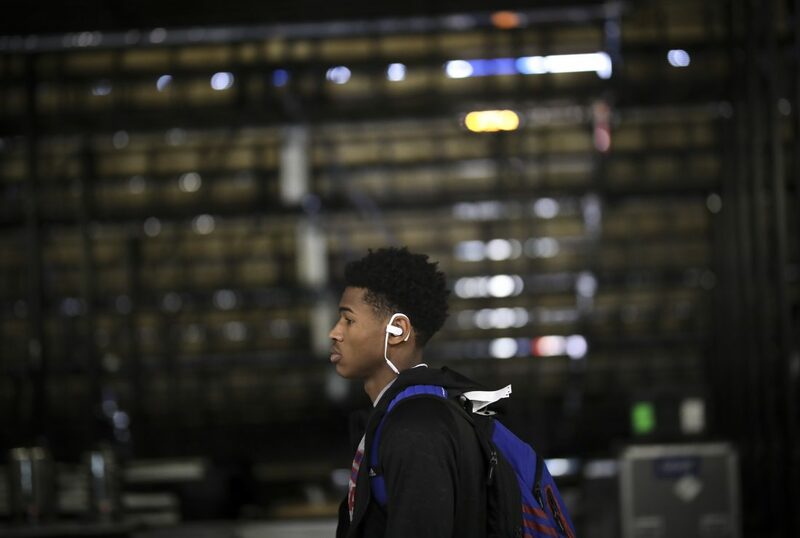 Kansas guard Ochai Agbaji (30) makes his way to the locker room as he and the Jayhawks arrive on Friday, March 22, 2019 at Vivint Smart Homes Arena in Salt Lake City, Utah. Salt Lake City – By the time the 4th-seeded Kansas men’s basketball team had moved on to preparing for No. 5 seed Auburn in the second round of the NCAA Tournament, the hard work was already done. 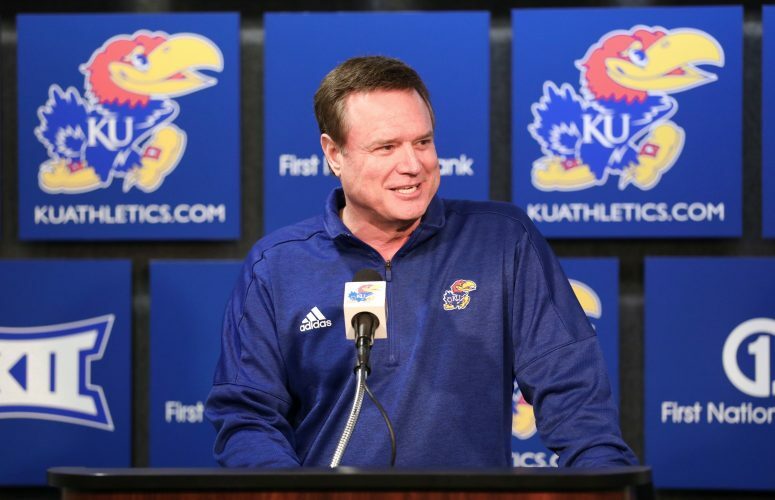 Saturday’s matchup — 8:40 p.m. on TBS — did not become official until sometime around 6 p.m. on Thursday night, but the KU coaching staff had done enough work in the days between Selection Sunday and Thursday’s opener on all of KU’s potential first- and second-round opponents to have a full barrage of film clips loaded onto each KU player’s individual iPad by the time the Jayhawks left the arena. 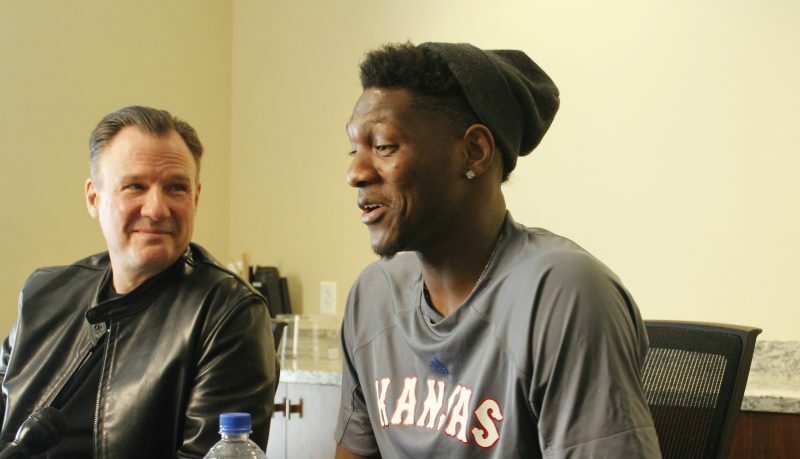 While that was nothing new for Lightfoot, it was a first for the KU freshmen and three other first-year Jayhawks who are playing in their first NCAA Tournament. It’s one thing to have a Saturday-Monday turnaround during the regular season. 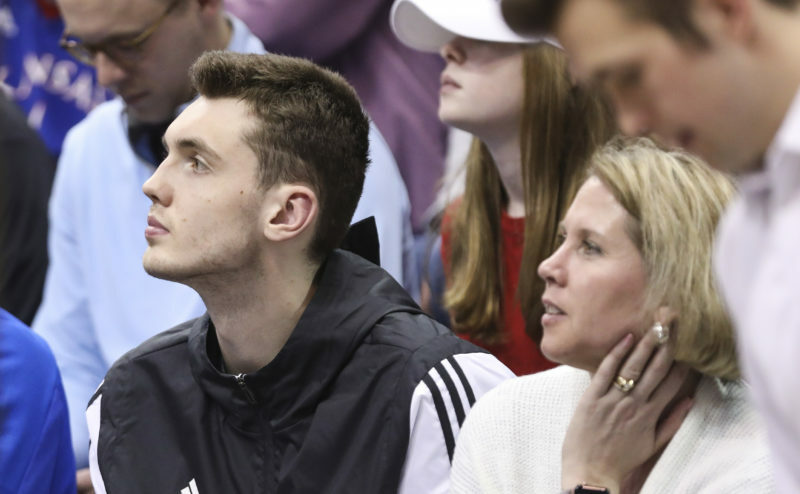 But doing it at the NCAA Tournament, with the stakes as high as they can be and the attention on every detail magnified to the Nth degree, is a totally new experience. From there, things began to happen fast. Freshman guard Ochai Agbaji on Friday recalled what went through his mind while walking the walk of a first-time winner in the NCAA Tournament. To that end, many Jayhawks were already watching film on the Tigers on the short bus ride back to the hotel. 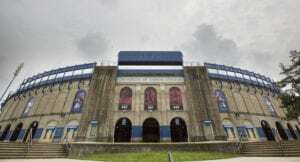 While that is just the beginning of diving into the game plan, the KU freshmen said it helped calm their racing minds to get an early look at their next opponent. After a team meal and that brief moment to relax, the Jayhawks had the first of a half dozen or so team meetings that would be crammed into the next 48 hours, this one accompanied by a 10-12 minute scouting video of what Auburn runs, how they play and where they like to operate. 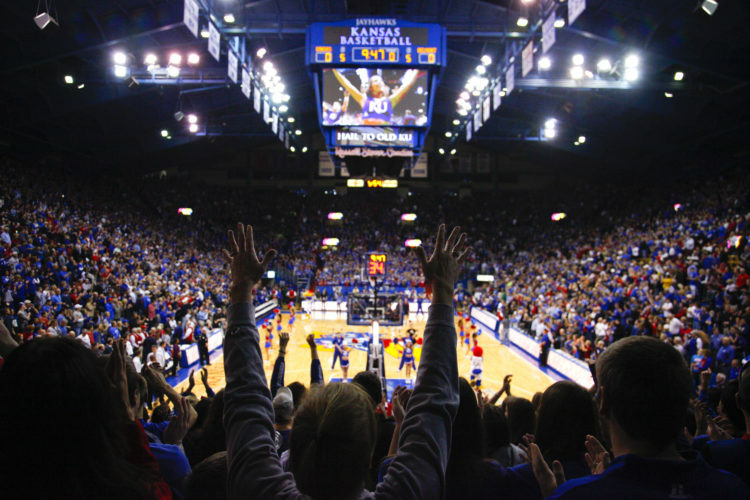 The video played start to finish, pretty much without stopping, and is designed to make the first glimpse something familiar in the minds of the Jayhawks. “He’ll pause it sometimes, if there’s anything we really need to focus on,” Agbaji said. From there it’s off to bed and up early for a team breakfast, more film and another meeting. Rinse, repeat, rinse, repeat, rinse repeat. The whole process happens fast and can create a bit of a time vortex, with only the 40 minutes of game time feeling familiar. It’s always been that way, although the methods, like the game, are changing every year. 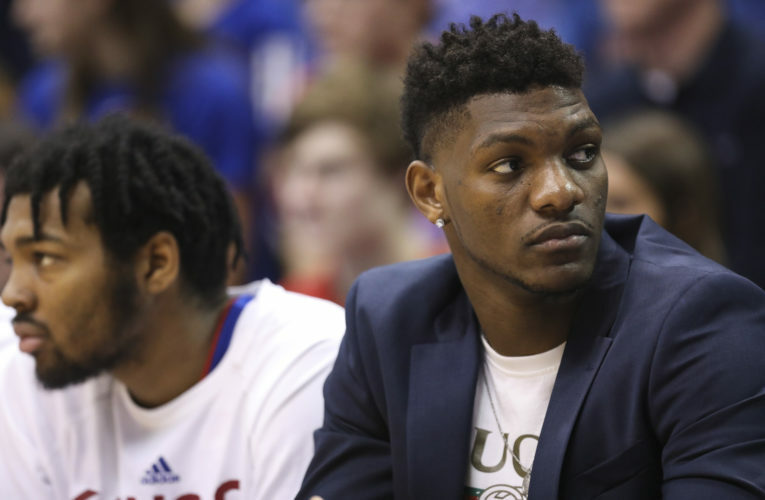 Case, who played at Kansas from 2003-08, recalled the NCAA Tournament preparation from his playing days, which included handwritten scouting reports on actual paper and was devoid of anything close to resembling cut-up film on individual iPads. Case said he did not think guys could watch too much film of an unfamiliar opponent in the hours leading up to game time. And Lightfoot agreed, saying the more you watch, the more you learn. But while the 48 hours between final horn and pregame routine — yes, some things do stay the same — is all about absorbing as much information as possible, Case said the end result never changes, no matter how much time a team has to prepare for its next opponent.